DIY promotional products made of post-consumer reused cookie packagings. ilVespaio has found innovative solutions to reuse Mulino Bianco post-consumer packagings. The user can easily create these objects in a weekend with step-by-step instructions. 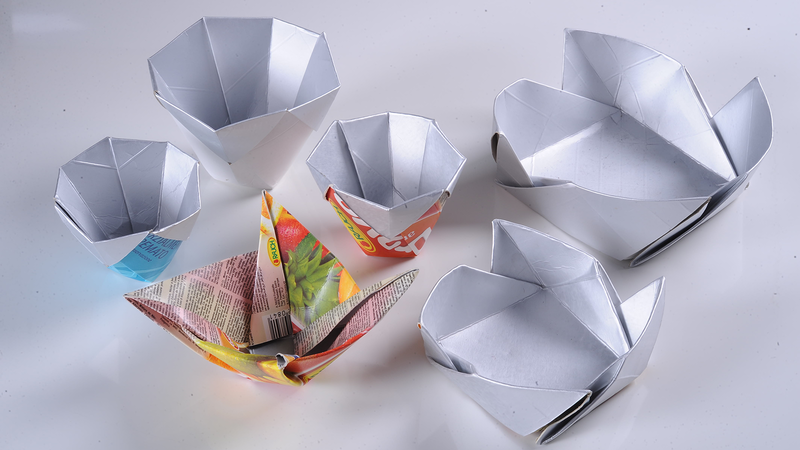 Promotional products made of pre-consumer discarded material provided by Tetra Pak Italia. 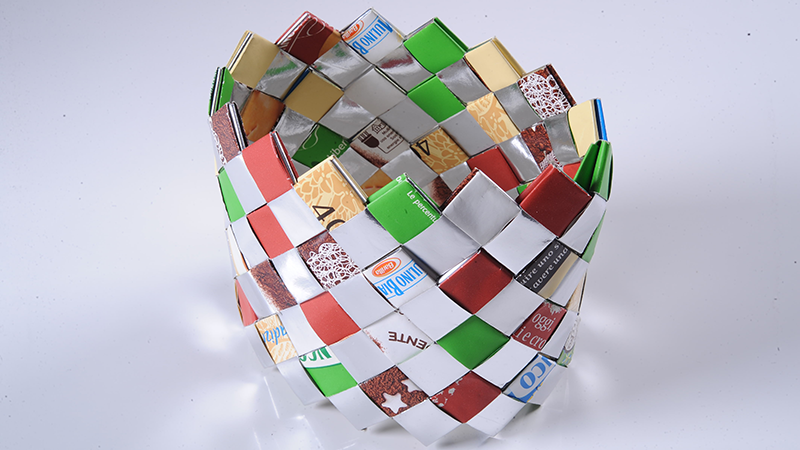 Every object is made of one sheet of milk carton. The user can easily fold the sheet without tools or glue. The aim of the project is the reuse of discarded Tetra Brik Aseptic from the test and assembly factory in Modena.